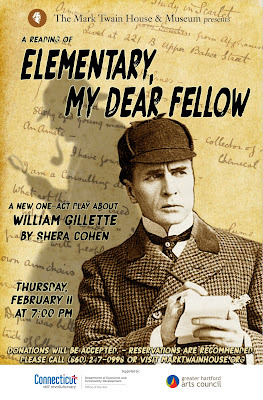 In The Spotlight, Inc.: Reading: "Elementary, My Dear Fellow"
Reading: "Elementary, My Dear Fellow"
“Elementary, My Dear Fellow” tells the story of William Gillette, renowned actor/playwright/inventor, Hartford born and bred, and most importantly, the original Sherlock Holmes. In 1896, Sir Arthur Conan Doyle literally handed his celebrated books to this constantly employed yet rarely satisfied American actor, telling Gillette to do whatever he pleased with Sherlock as he was tired and bored with the detective. This was the impetus to Gillette’s famous and long career. Gillette not only molded the Holmes’ stories into plays and wrote many of his own creation, it was Gillette who dressed Holmes in what has now become the character’s instantly recognizable image. However, William Gillette was far more than Sherlock Holmes. Admittedly, even Gillette often entangled the two – man and character – through much of his later career and life. 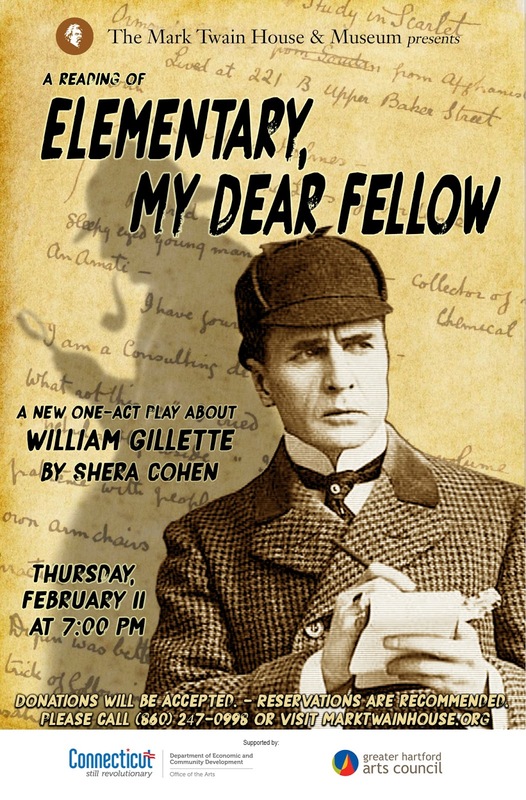 The play is William Gillette’s journey onto the stage, the people who helped him, his joys and tragedies. It may not be surprising that Gillette was a rather quirky, sometimes naive, and enigmatic man…certainly, a man worthy of meeting.